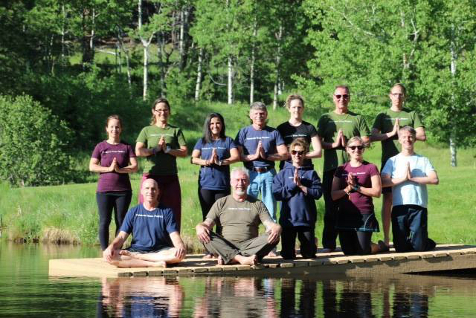 The Veterans Yoga Project (VYP) began as the seed of an inspired idea dreamed up by former Feathered Pipe Foundation President Dr. Daniel Libby. A licensed clinical psychologist and yoga teacher, Dr. Libby was determined to find ways to increase the resources available to veterans with post-traumatic stress and other trauma-related difficulties and to the yoga therapists who work with them. Hard work and unrelenting persistence paid off, as the seed of this idea was initially incubated through the Foundation’s fiscal sponsorship and then quickly sprouted — and soon blossomed — into a flourishing independent nonprofit that is today changing lives for the better, one veteran at a time, all around the globe. — The provision of free resources for veterans and active duty military members to support them in their quest for recovery and resilience. 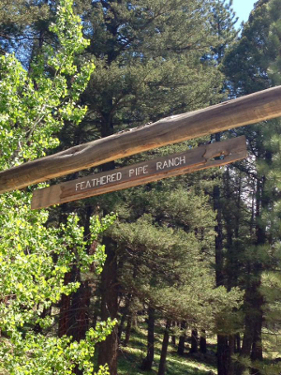 VYP is in the throes of tremendous growth and Feathered Pipe is privileged again to host our cherished friends for their annual organizational summit at the nourishing space of the Ranch. The summit is an opportunity for an enriching pause point to nurture the organization’s most vital asset: its team. It’s a time for veterans and civilians, doctors, yoga teachers, executive professionals, and volunteers to come together in a spacious setting to share best practices, dream the future, and support one another in the shared goal of bringing the very best and most knowledgeable teachers to the veteran community. Read a wonderful article from a veteran participant in our 2018 program here. 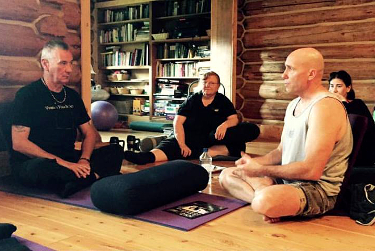 Dan is a founder and Executive Director of Veterans Yoga Project. He is a licensed clinical psychologist and yoga teacher specializing in the mindful integration of evidence-based psychotherapies and complementary and alternative medicine practices for the treatment of PTS(D) and other psychological and emotional distress in active-duty military and veterans. As a Postdoctoral Fellow with Yale University’s Department of Psychiatry and the VA’s Mental Illness Research and Education Clinical Center, Dan conducted research investigating the physiological correlates of mindfulness meditation as well as the first epidemiological investigation of Complementary and Alternative Medicine in VA PTSD treatment programs. 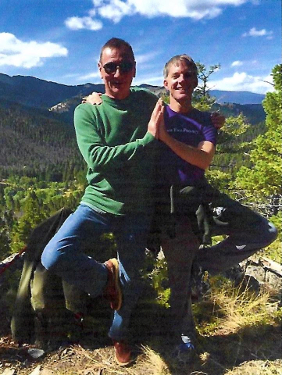 He is also former Director of Clinical Services for the Starlight Military Rehabilitation Program and has taught mindfulness and yoga to hundreds of veterans and active-duty service members. Daniel is currently a psychologist at the Oakland Vet Center in Alameda, California, where he teaches several yoga and meditation classes weekly. A New Hampshire native, Brianna served five years in the Marine Corps as an avionics technician at both MCAS Miramar in San Diego, and MCAS Iwakuni in Iwakuni Japan. She is a perpetual student: using her GI Bill, she obtained her A.S in Engineering and a B.S. in Technical Writing/Mathematics/Technology. More recently, Brianna graduated from Discovery Yoga’s 200–hour Kriaplu teacher training and Soma Yoga Institute’s 300-hour advanced teacher training. She has over 75 hours of Mindful Resilience for Trauma recovery training through the Veterans Yoga Project, where she serves with great passion as the organization’s Director of Programs. Brianna combines over 20 years of dance training and her military background to create a safe, nurturing and mindful practice. She is a co-founder of Namaste Newport in Newport, NH, dance teacher at Dance Arts Academy in Sunapee, New Hamphire and teaches at the VA Facility in White River Junction, Vermont. 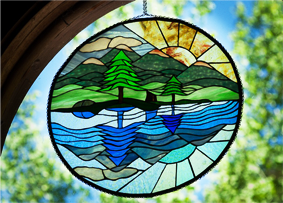 Arrival and departure: Please plan to arrive at the Ranch no later than 5pm on the arrival day (Saturday, 31 August) of your retreat so you can join us for a tour of the grounds before dinner at 6:30pm and our group evening orientation following dinner. Please arrange to leave the Ranch in the morning or early afternoon of departure day (Saturday, 7 September). There are no classes or sessions on departure day. We request that our guests depart their lodging by 9am on departure day to give our staff sufficient time to prepare for incoming guests.